Artist Training BASIC is an advanced training program by UdK Berlin Career College for artists in exile working in the fields of MUSIC, PERFORMING ARTS, FINE ARTS, and FILM. The module BASIC II will focus on the acquisition of skills necessary for application writing and portfolio setup when applying for funding from public sector organisations. Topics include: How to come up with a project idea, how to write a project summary, how to draft a professional biography and what to include in a portfolio. Berlin consultant for culturepreneurs Tobias Losekandt and visual artist Sissel Thastum will share their expert knowledge on successful project application. Alongside the workshop, participants will get a chance to create new networks and a niche for themselves in the creative industry. 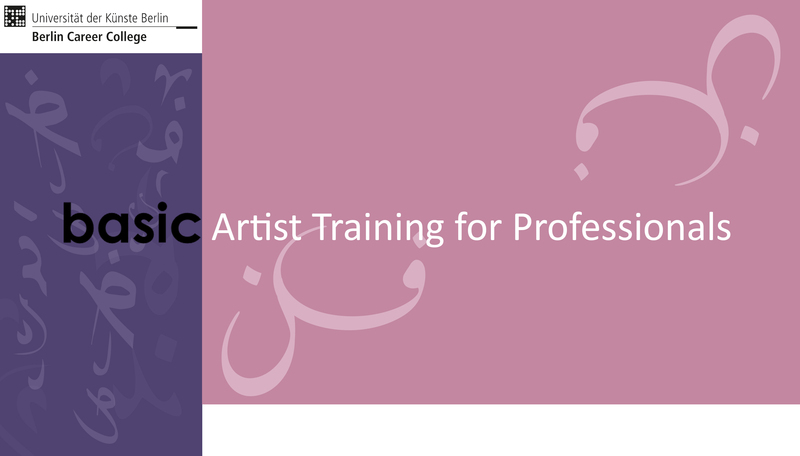 The course is addressed to professional artists only and is held in English. The offer is free of charge.